To arrange a Counselling appointment or for more information please contact me on the details below. My counselling practice is based in the heart of Glasgow’s West End. To arrange a confidential counselling appointment or receive more information please contact me on the details below. If I am unable to answer, you can leave a message and I will try to call you back within 24hrs. Your message will be treated confidentially. 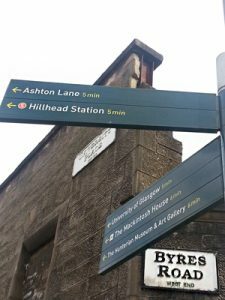 Byres Road Counselling Practice is situated on the corner of Byres Road and Lawrence Street, in Glasgow’s West End, G11.